I love dispelling the myth that "black don't crack." As a black woman, I've heard this saying proudly (boastfully, even) repeated countless times over the course of my adult life. I've actually been chided for using serums, eye creams, sunscreen, and other anti-aging products. The resounding snarky comment is usually "Girl, we don't need all of that." The gist: We black women don't need to concern ourselves with skincare products because we are anti-aging unicorns. This simply isn't true. While black skin is slower to show the typical signs of aging like fine lines, deep forehead wrinkles, and crow's feet around the eyes, our skin is prone to uneven tone, dark spots, hyperpigmentation, and sagging, all of which rob our skin of its youthful glow and makes us appear older than we really are. Thankfully, lots of at home treatments and in-office procedures can help treat dark spots, rough textures, blotchy skin tones, and sagging skin—but are these treatments safe for dark skin? Dr. Neal Schultz, NYC-based dermatologist, host of DermTV.com, and creator of BeautyRx, advises, "At-home lasers and devices (i.e. hair removal, acne treatment, reduction of fine lines) are generally safe. The FDA is very demanding that manufacturers demonstrate safety before the FDA approves them." So what’s the best of the best? We want bright, radiant, flawlessly smooth skin, and we want it now. Read on as we break down the best tools and treatments that deliver noticeable results and are safe for dark skin! Rid skin of rough texture with Dermaflash, an at-home exfoliation device that uses gentle vibrations to refine skin texture. Use this tool weekly to remove dead skin cells and peach fuzz. If the idea of using a blade on your skin (at home! alone!) frightens you just a bit, rest assured that the safety mechanisms make it impossible for you to go too deep. I'm usually pretty aggressive with my skincare tools, and even I found Dermaflash to be foolproof. I was counting the days until my next treatment. If sagging skin is a concern, try NuFace Trinity Facial Toning Device. This handheld device uses microcurrents to improve skin tone and contouring, and to give sagging skin a boost. Before trying NuFace, I reached out to several dermatologists to discuss my smile lines. All recommended facial fillers. Unwilling to take to the needle just yet, I decided to give NuFace a whirl. It takes about two months of consistent use to see a marked result, but it's worth it! Smile line crisis averted. When it comes to popping pimples, please don't! According to Dr. Schultz, "Dark skin is prone to hyperpigmentation from squeezing or popping. You probably won't get scars, but the brown stains can be very difficult to treat." Dark spots can also start to increase with age. 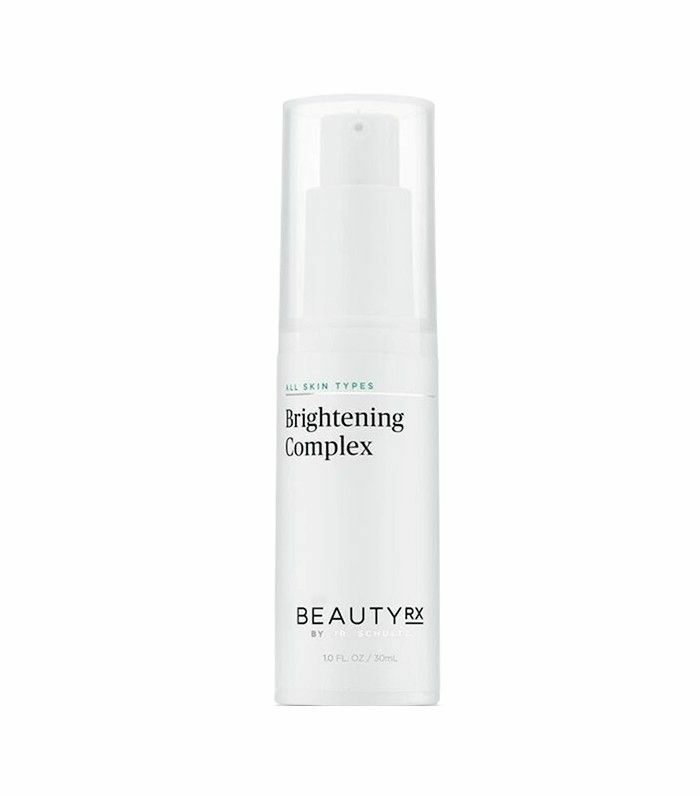 Try a hydroquinone-free option like BeautyRx by Dr. Schultz Brightening Complex. It lightens the affected area without lightening the healthy pigmentation surrounding the dark spot. 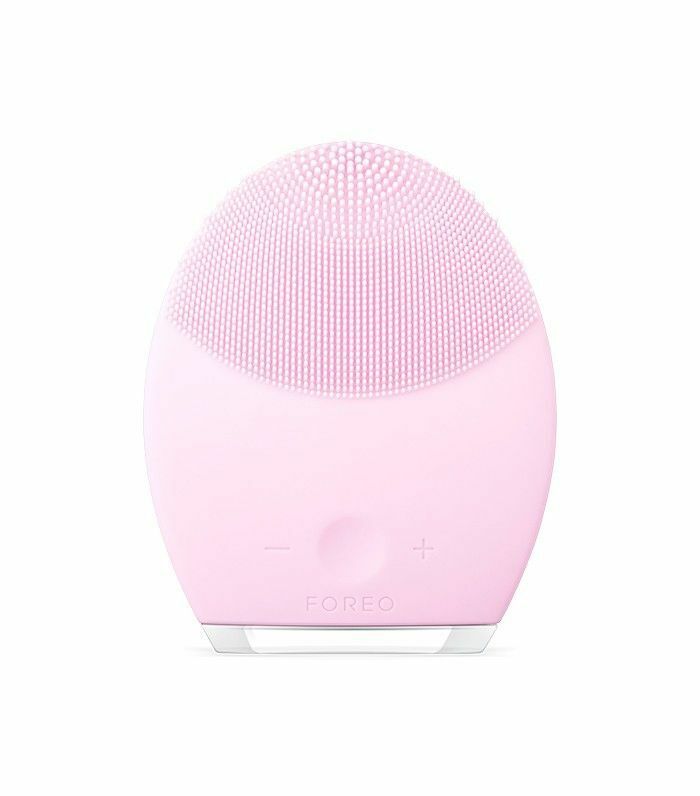 If you’re looking for an alternative to the oscillating face-cleaning brush, try the Foreo Luna 2. The handheld silicone facial brush deep-cleans without excessive scrubbing. Forea Luna 2 is both a cleansing and anti-aging device. It decongests pores, removes dead skin cells, and channels low-frequency T-sonic pulsations to reduce the signs of aging. If you’re accustomed to a washcloth or oscillating brush, I will admit that the Foreo Luna 2 is an adjustment. After about a week of cleansing in this "new" way, I noticed my skin was less irritated, plumper, and visibly firmer. After adjusting to a silicone-cleansing device, I find it hard to go back to those spinning brush heads. 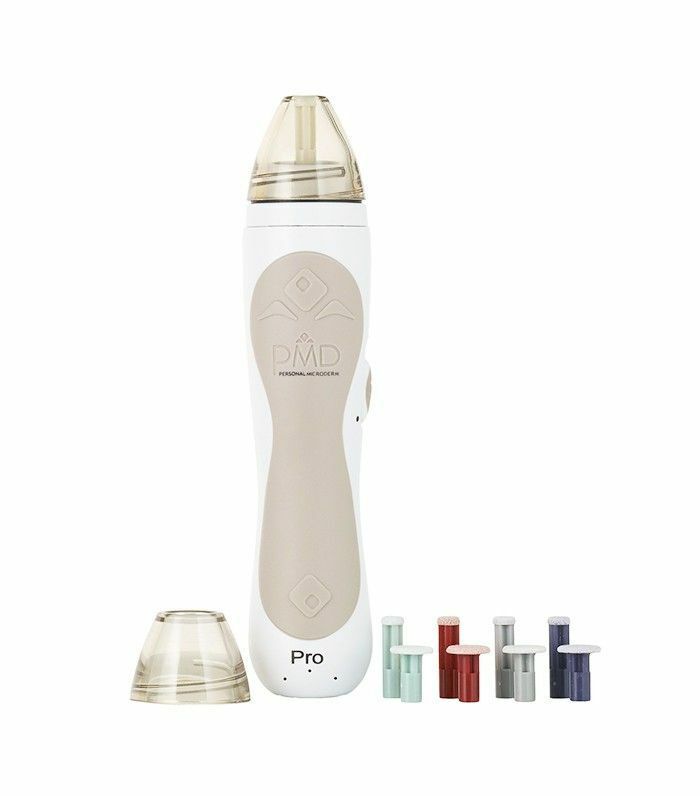 The PMD Personal Microderm Pro is a great alternative to in-office microdermabrasion treatments, and I promise it’s not as scary as you might think. It takes just a few quick strokes from chin to forehead (about once a week) to resurface rough texture and reveal soft skin. It’s important to not combine PMD Personal Microderm Pro with retinol or alpha-hydroxy acid treatments. Other than that, this at-home skin smoothing tool is effective at softening the appearance of lines, wrinkles, enlarged pores, and post-acne blemishes. As with most treatments, consistency is key. Over a 12-week period, I saw the biggest change in pore size. They're now tighter and a lot less visible. What anti-aging tools and treatments have you tried? Share your experiences in the comments below!